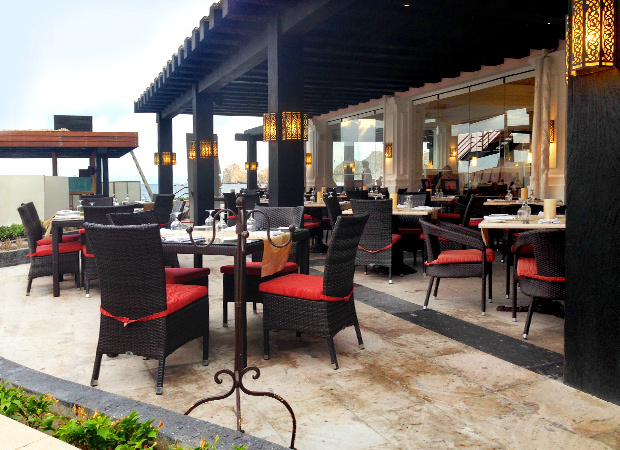 Enjoy delicious cuisine at Pueblo Bonito Los Cabos. Our hotel restaurants feature the freshest ingredients and sizzling international flavors in settings that are casual, delectable and family friendly. The beautiful beachfront setting of Cilantro's complements the restaurant's mouthwatering menu of fresh seafood and international delights. 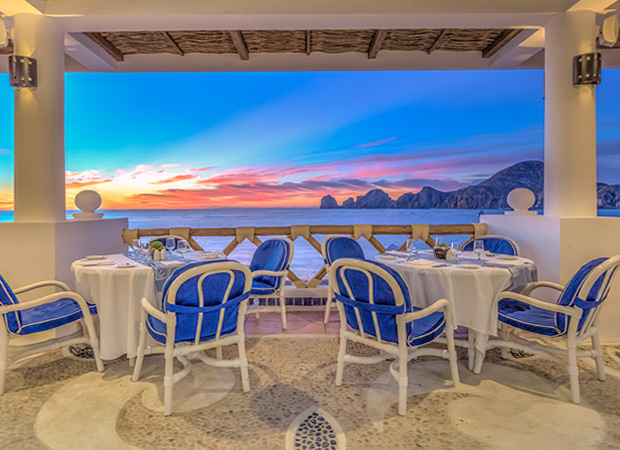 Casual outdoor dining with unobstructed views adds to the allure of this Cabo San Lucas restaurant. 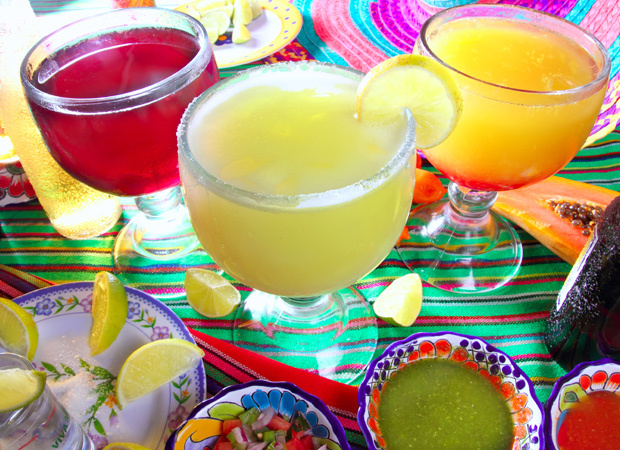 Savor regional specialties of Mexico and international fare at Las Palomas restaurant where restaurant seating is available on the outdoor terrace or the indoor, climate-controlled dining room. Spectacular ocean views complement every table in the house. 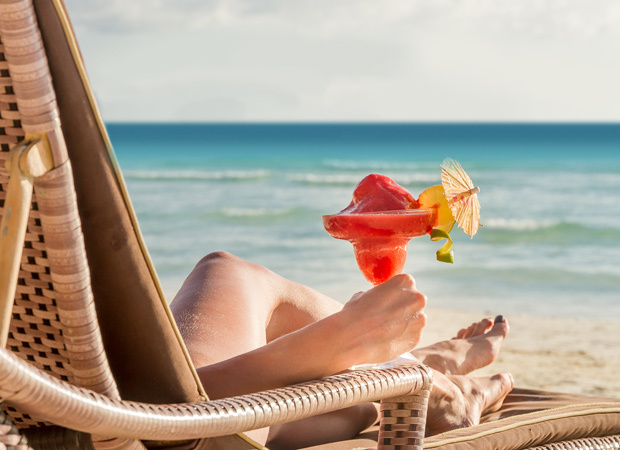 Juicy burgers, thick sandwiches, snacks and refreshing drinks are the top menu items at the Pueblo Bonito Los Cabos poolside bar. The stunning views of Land's End and the Sea of Cortez are complimentary. 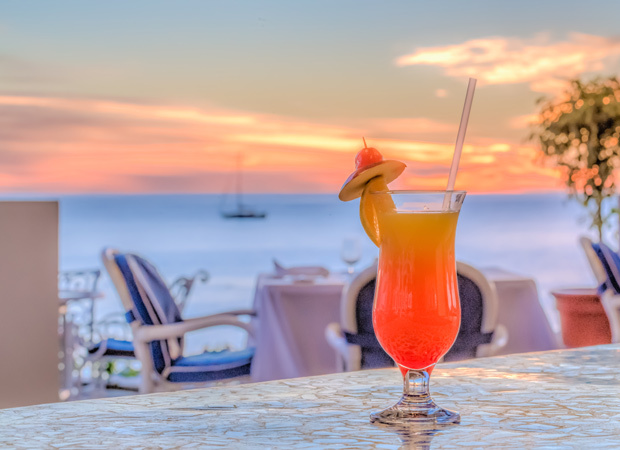 Sip your favorite cocktail while enjoying the ocean view at Cilantro’s, our beautiful beachfront restaurant. 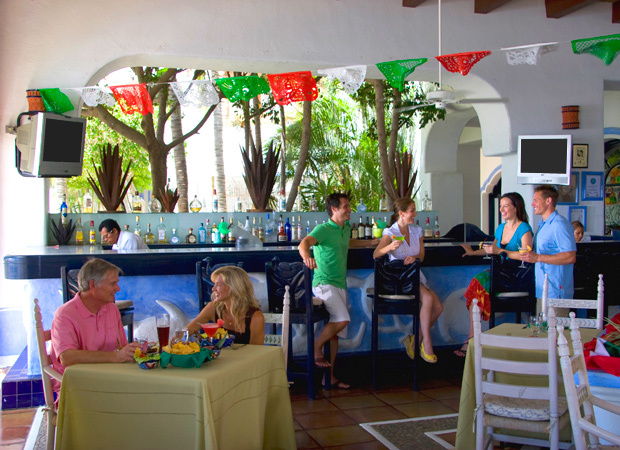 The Los Palomas Bar is your destination for cool tropical cocktails, followed by delicious regional specialties. 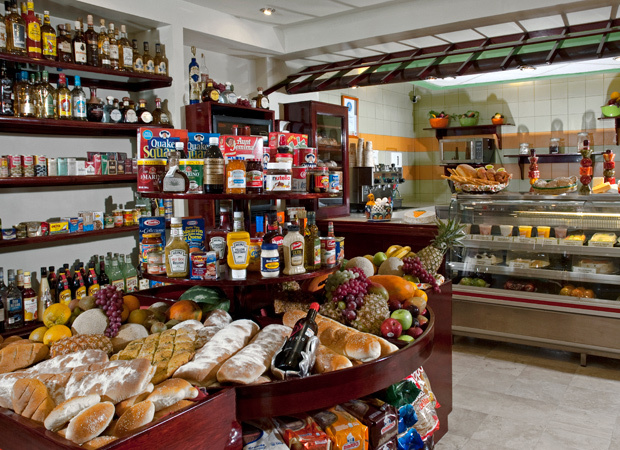 Stop by the Pueblo Bonito Rosé deli and convenience store for groceries, espresso drinks and fresh baked goods including pastries and desserts. The deli also features a tobacco shop and Internet center. The newest restaurant at Pueblo Bonito Rosé, Sunsets & Sushi Bar overlooks El Médano beach and the famous El Arco Cabo San Lucas landmark. 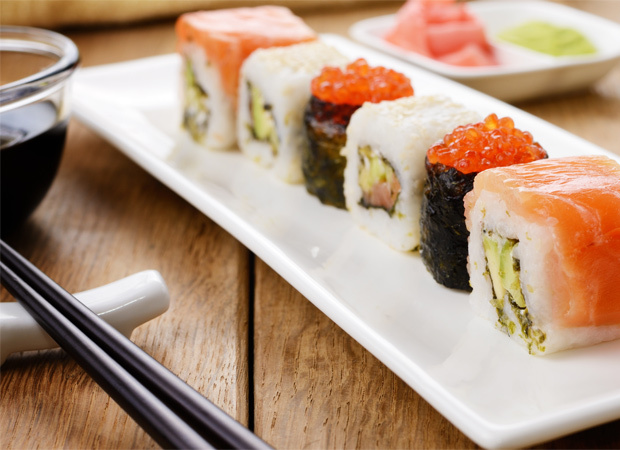 Enjoy refreshing drinks, a delicious variety of creative sushi, live music and spectacular sunsets. Flat screen TVs show current sporting events and concerts. Don't miss the fabulous Fellini's Ristorante for award-winning Italian cuisine. The menu features thin-crusted grilled pizzas, the finest meats, fish and succulent seafood, elegant risottos, and pastas bursting with flavor. Fellini's also offers a sophisticated wine cellar created by our national champion sommelier. Indoor or patio dining. Dress code is resort elegant. Gentlemen's shorts with casual shoes are accepted. Children under the age of 11 are not permitted. 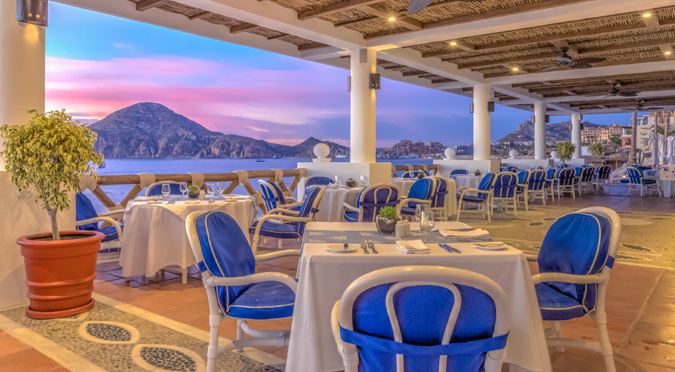 Regarded as one of the top restaurants in Cabo San Lucas, La Frida offers an exquisite dining experience with spectacular views. The restaurant is also a showcase of artwork by and in honor of famous Mexican artist Frida Kahlo. La Frida is an adult restaurant. Dress code is resort elegant. 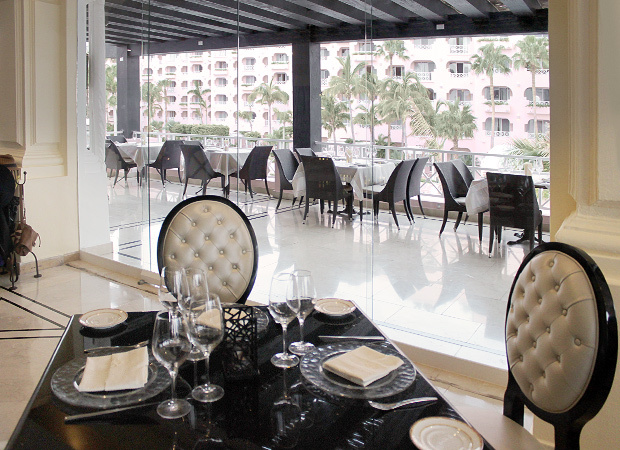 Enjoy on our terrace a delicious a la carte menu with carefully prepared dishes on the grill. Located at our neighboring Quivira Golf Club, our new Jack Nicklaus Signature golf course at the tip of the Baja Peninsula, the Steakhouse at Quivira offers indoor and outdoor dining from late afternoon through evening. Dinner reservations required. Dress code is resort elegant.